As previously mentioned, Walibi Holland’s Robin Hood will be RMC’d for the 2019 season, which leaves only 2 Vekoma-designed woodies left in operation (and only one with the original Vekoma trains; Thundercoaster at Norway’s TusenFryd received GravityKraft Timberliners in 2015). Not only is Loup-Garou (aka Werewolf or Weerwolf, depending on where you come from) quite unique now for these reasons, but it has an excellent one-of-a-kind layout and is one of (soon to be) only 5 woodies in all of Benelux. 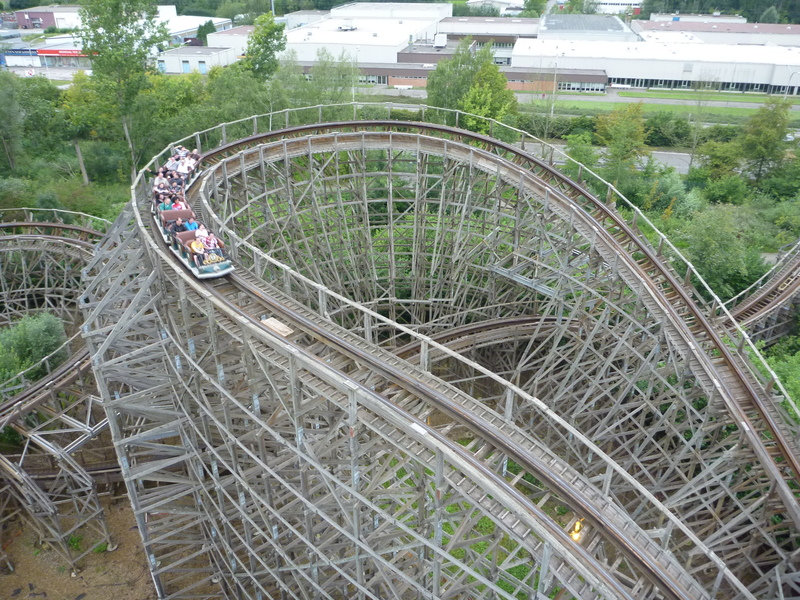 Perhaps the most popular candidate for an RMC conversion in the US these days is disgraced GCI dueler Gwazi, which has been dormant since 2015. The potential for this ride to outclass just about any coaster in Central Florida is high, but only if the structure is still in workable shape. It goes without saying that having “The World’s First Dueling Hybrid Coasters” could pull unparalleled droves of thrillseekers from Orlando (and everywhere else) with ease. As excellent as ex–Roar–clone-turned-RMC Joker at Six Flags Discovery Kingdom is (and as badly as the DMV would probably like to have an Iron Horse), Six Flags America’s GCI Roar appreciated highly in value overnight by spontaneously becoming a one-of-a-kind layout (like how Carowinds’ Hurler did when Kings Dominion’s Hurler became Twisted Timbers). Also, to their credit, SFA’s wooden coaster maintenance team is one of the best in the country, so why not keep both woodies intact? Shoot, go ahead and build a third. 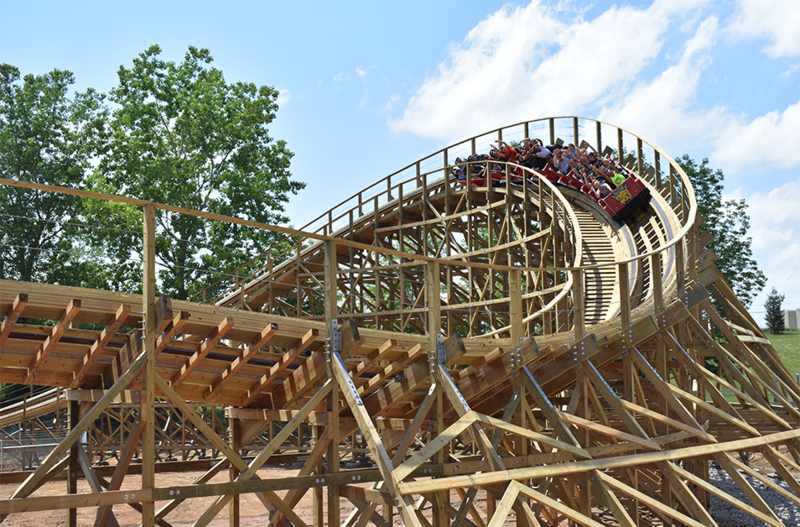 This might go without saying now that Cedar Fair has poured a fairly large chunk of change into the ride (replacing the pace-killing helix with a “70º overbank turn”), but Timber Wolf is simply better off as wood coaster. Like the DMV, enthusiasts of Missouri’s metro regions are no-doubt yearning for one of their woodies to be RMC’d, but Timber Wolf just isn’t the one: in addition to having a great layout, it’s one of Dinn-Summer’s few projects that has never, at any point, qualified as a total disaster (it’s amazing what happens when you build a ride that doesn’t completely disregard track health or basic physics). 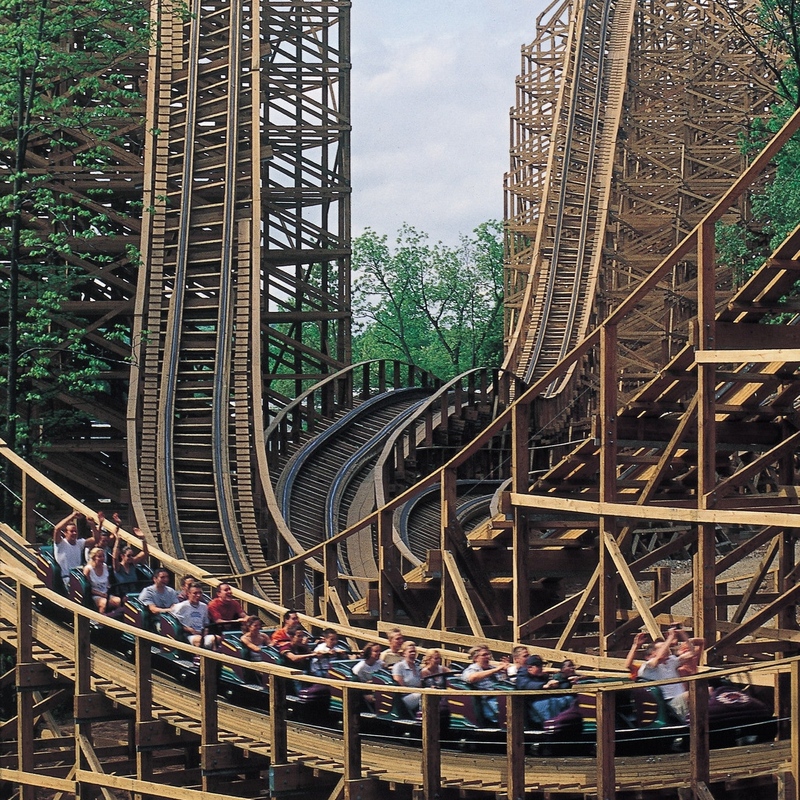 This isn’t one that many American enthusiasts are even aware of (unless they’re familiar Mitch Hawker Coaster Poll results), but the long-short of it is that Anaconda, at one point in time, was regarded as “The World’s Worst Wooden Coaster.” It’s a giant, slow Bill Cobb slugger with Morgan trains that limp their way over the peaks – not a very thrilling ride given the intimidating moniker. It’s pretty much a textbook RMC canvas, but don’t expect the complacent Walygator Park of Lorraine, France to splurge on it any time soon. 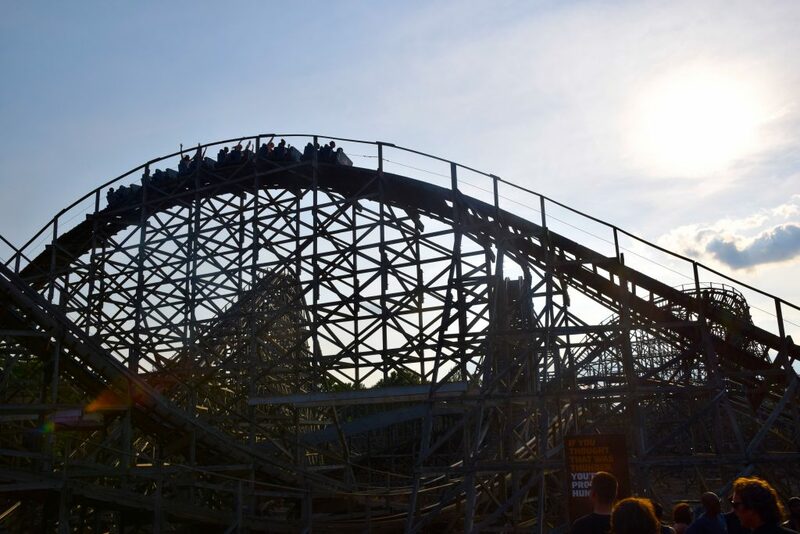 From the moment Iron Horse became “a thing,” The Boss has been on just about everyone’s shortlist: it’s a massive, scenic ride with plenty of potential, but the Gerstlauer trains don’t have many fans, and the back half is prone to jackhammering (although, like Timber Wolf, Boss’ helix was removed this year to help with pacing. Must be a Missouri thing). People will argue whether Six Flags St. Louis can “justify” the expense of an Iron Boss, but honestly, why mess with greatness? Sure, the trains aren’t the best (and with spares St. Louis acquired from Kentucky Kingdom / Jazzland, they’re not going anywhere), but this ride is a real knock-out that at least feels like it was designed to run the lightweight Gerstlauer stock. Boss is about to enter its 20th year of service, and it has at least another 20 good years in it. 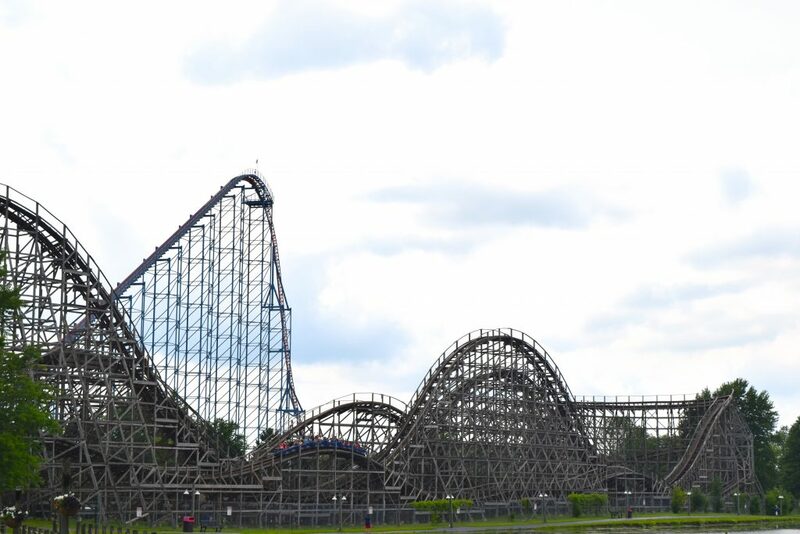 I know this one sounds crazy, but hear me out: The Big One (formerly Pepsi Max Big One) possess massive allure but provides very little payoff. It features one of the most aggressive first drops found anywhere, but the rest of the ride is essentially a large Arrow Mine Train. 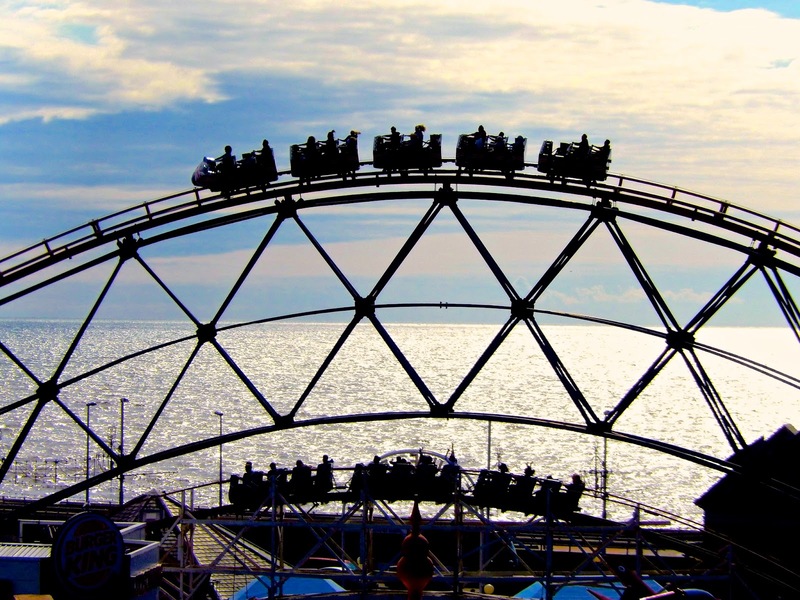 Those who come for the drop are bored by the rest of the ride, and people who’d appreciate the ride’s overall gentleness are no-doubt put off by the violent first dive – the result is a ride that intrigues many but satisfies few. The Big One is supported primarily with articulated bridgework and a thick lattice of scaffolding – both could be repurposed almost entirely in developing a ride worthy of such an impressive drop (which was already reprofiled once and is probably on borrowed time). I may be nuts for even committing any of this to a document, but let’s not pretend that Blackpool Pleasure Beach hasn’t done anything equally as absurd. Japan doesn’t exactly have a lot of woodies to work with (they went from 6 in 2006 to just 3 by 2017), and part of the blame goes to RMC fever making Asian landfall in the form of Nagashima Spa Land’s White Cyclone Iron Horse remodel, opening in 2019. 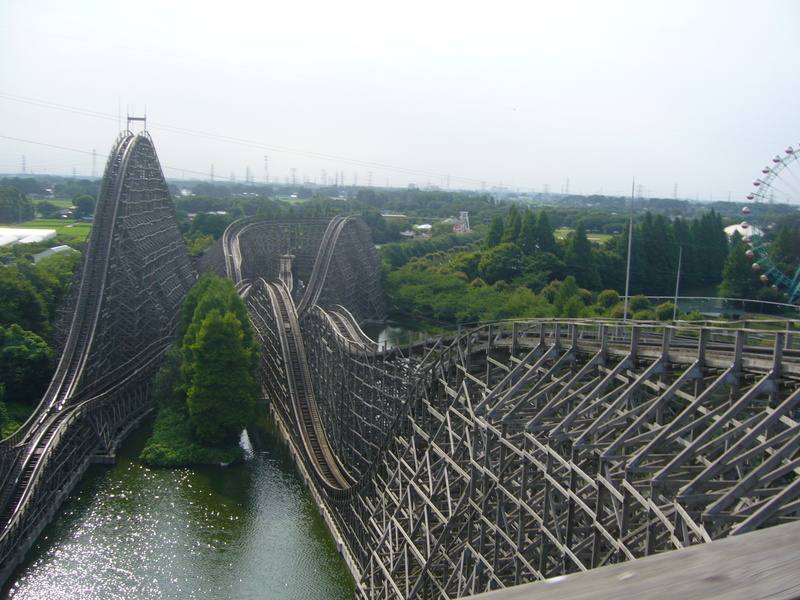 Before Tobu Zoo gets any bright ideas about doing the same to their similarly massive Intamin Regina, I hope they consider the value of having Tokyo’s only wooden coaster – one who’s mild meanderings are met with higher praise than an Iron Horse remodel probably would be. Alright, this one sounds like a meme (Lightning Rod is down again? RMC IT haha), but here’s the scoop: RMC Topper Track and humidity don’t seem to mix well – s u p p o s e d l y the Carowinds Thunder Road and Six Flags Over Georgia Georgia Cyclone rehab projects were both scrapped half way through due to various forms of wood rot, and it’s no coincidence that potholes and track distortion are on Lightning Rod‘s laundry list of problems. A solution? Nix the wood. Make it a steel coaster. No more problems (hopefully). Love you, Dollywood! Orlando StarFlyer Trip Report and 360° POV! 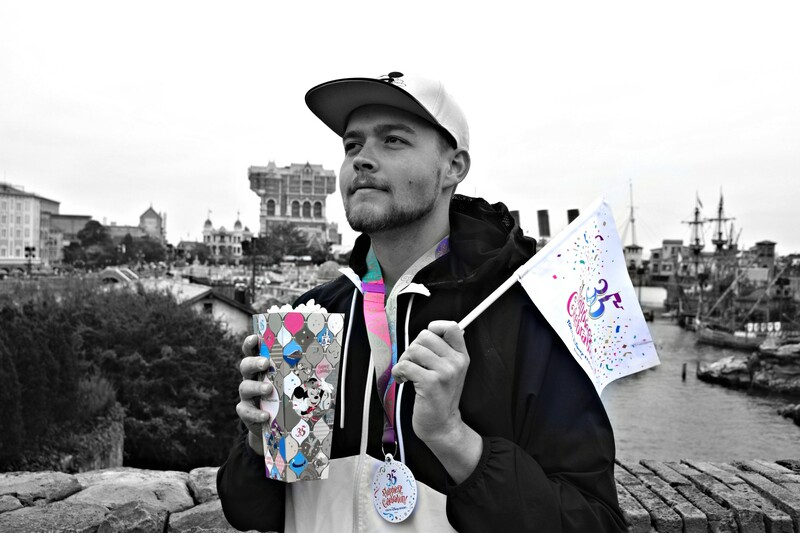 Freizeitpark Plohn Reveals Dynamite Layout! Okay I’m going to explain why some of the rides you mentioned should NOT BE RMC’D. The Grizzly at California’s Great America is the only new wooden coaster built in 1986 and recently it was completely retracked by GCI and Adams Amusements. So its a lot smoother and has been turned into a nice family friendly coaster for the park and RMCing it would take away a nice big family ride. 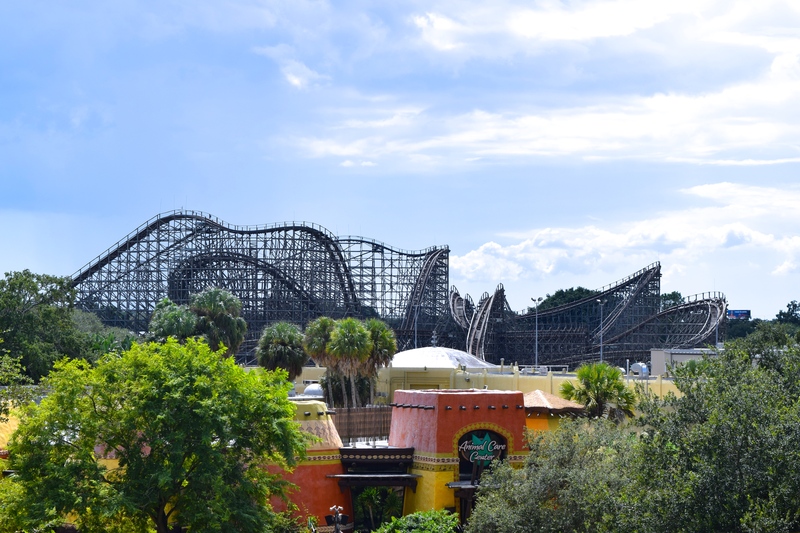 However if the sluggish straight sections were torn down and replaced with floater hills by GCI, the ride could be improved even more and still be a family friendly woodie. The Mighty Canadian Minebuster is one of the park’s original attractions from 1981 and millions have ridden it and its based on the lost Shooting Star at Coney Island (Cincinnati). If this ride is to be improved, let it be renovated and modified by GCI just like Timber Wolf. 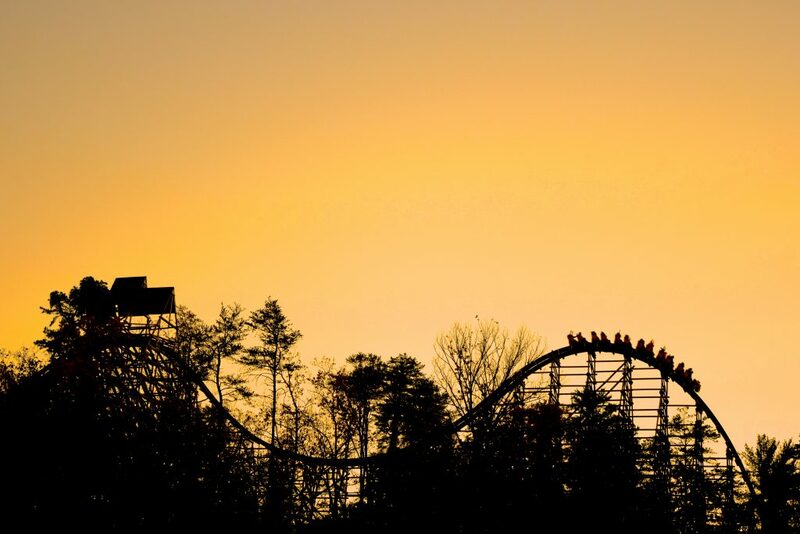 Le Monstre is the last surviving racing coaster designed by Bill Cobb, the tallest wooden racer in the world, and the last surviving of 3 new wooden coasters built in 1985. Le Monstre should be retracked completely with RMC’s Topper Track and have its helix modified to be faster and more intense. No to RMCing Predator because it has a classic double out and back layout and its one of only 4 surviving coasters built by the Dinn Corporation. Hard for me to say no to Anaconda but I feel if it was modified heavily by the Gravity Group and have its sluggish hills replaced by many small floater hills, it could become a huge airtime machine and a much improved ride. I’m a traditionalist and I feel that wooden coasters are dying out as a result of the RMC trend and that’s why I try to promote alternatives to keep them as wooden coasters and to improve them. I still feel to this day that RMCing Colossus was the wrong move and that it would have been better by an extensive renovation and by restoring the ride to its original 1978 specifications including the double dip. 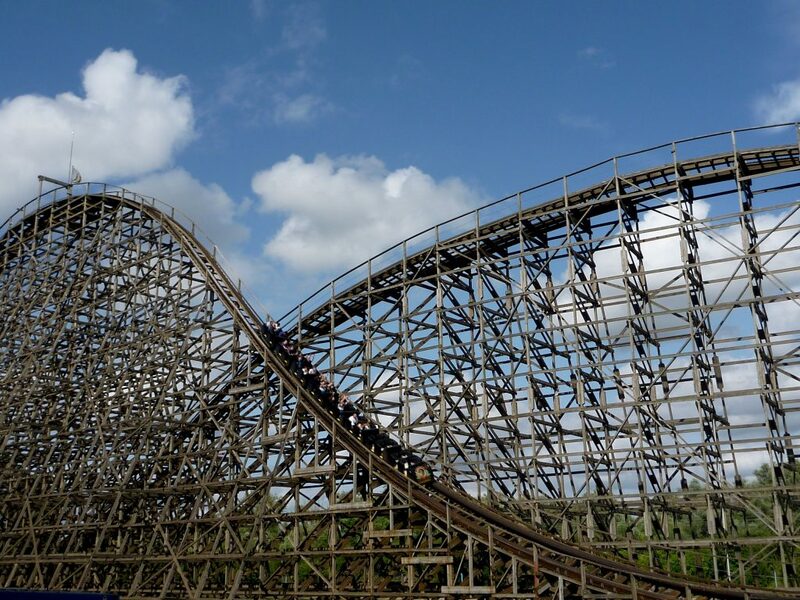 Previous PostPrevious 10 European Coasters Facts for Rollercoaster Day!